ACORN has so many exciting events coming up in the next few months, and we wanted to make sure you don’t miss out – they’ve put together a list of upcoming events and dates, and of course, you can always consult our events calendar for more details. Please share widely with your networks, and feel free to get in touch with any questions! Come join us this winter! January 15th, 10am to 4pm – Seedy Sunday at the Ross Farm Winter Frolic, NS. January 17th, 8pm AST – Webinar: “Too Many Rutabagas: Time and Productivity Management for Farmers” with Chris Blanchard. Registration required January 17th at noon. Free for ACORN members/$25 for non-members. January 24th, 9am to 4 pm – Organic Pastured Poultry Symposium, Dieppe Market, NB. $60 for ACORN members/$80 for non-members. Registration required by January 17th. January 31st, 4pm – Application Deadline for Executive Director position. February 7th, 8pm AST – Webinar: “Farm Finances: Setting up and Managing your Farm Financials” with Chris Blanchard. Registration required by February 7th at noon. Free for ACORN members/$25 for non-members/$25 for non-members. February 8th and 9th – Online Season Extension Conference with Andrew Mefferd, author of The Greenhouse and Hoophouse Grower’s Handbook and consultant Phillipe-Antoine Taillon. Details coming soon! February 14th, 1pm to 5pm – New Brunswick Organic Forum, Fredericton, NB. Free event, with option to purchase catered lunch. February 19th and 20th – Holistic Farm Life Workshop: NB with Debbie Lawrence, Fredericton, NB. $100 for ACORN Members/$150 for non-members. February 23rd and 24th – Holistic Farm Life Workshop: PEI with Debbie Lawrence, PEI. $100 for ACORN Members/$150 for non-members. March 5 – CSA Fair, Dieppe Rotary Park, NB. Details coming soon! March – Winter Pruning Workshop for Organic Apple Production at Beamish Orchards, PEI – weather dependent. Stay tuned for more details! 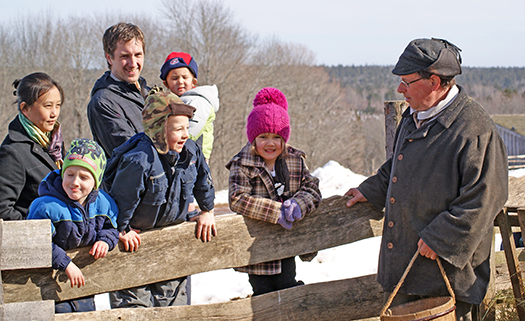 The Ross Farm Museum Winter Frolic is a family tradition in Nova Scotia – with sleigh rides, sledding, snow shoeing, and hot chocolate made over an open fire. This year, ACORN and Slow Food Nova Scotia are partnering with the Farm to bring one of the first Seedy Days of 2017 to the event! When your cheeks are rosy and you’re ready to warm up, drop into the Learning Center for a visit with Steph Hughes of ACORN (Atlantic Canada Organic Regional Network (http://www.acornorganic.org/) and Chris Sanford, seed farmer with Yonder Hill Farm. They will be on hand to amuse and inform you with activities and workshops throughout the day relating to the wonders of seeds! Then learn about the Slow Food Ark of Taste and the role that Ross Farm Museum is playing in this global effort to save traditional and heritage foods. All included in the day’s admission price. Chris Sanford is a Lunenburg County farmer/gardener Nova Scotia based in Laconia. She has been a seed saver for over 10 years and has worked with 150 varieties of vegetables, grains, and flowers at her farm. She is also the Community Gardens Coordinator for the Town of Bridgewater, as well as the South Shore Seed Library Coordinator. Chris Velden from Flying Apron Inn and Cookery and our Slow Food NS Board just finished up the 2016 Harvest Dinner at Dr Arthur Hines Elementary School (see below). Below are photos from the event and details about this school garden project. A couple years ago we supported this project and made a short film about it called “The Edible Schoolyard” (more details below). Every year year students and teachers at Dr Arthur Hines Elementary school select the vegetables, fruits, flowers and herbs that will be grown. Students, with support of staff, volunteers and members of Harmony Park, plant the seeds. During the summer, the community helps maintain and weed the garden. This year, we are getting together in a true hotbed of GOOD, CLEAN, and FAIR. Within 5 minutes of the community hall where we’ll meet are Tangled Garden, Just Us! Centre for Small Farms, Just Us! coffee roastery, and the brand new Horton Ridge Malt and Grain Company malt house. Mark this date on your calendar now — you won’t want to miss it. What’s happening in the coming year? 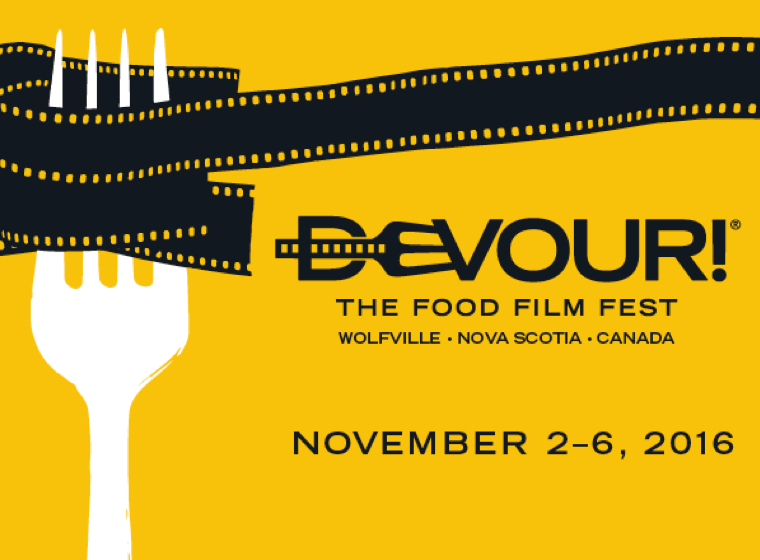 Stay tuned for more details on food, tours, agenda, and directions. At the AGM, this year’s agenda and minutes from the 2015 meeting will be circulated. If you are not a current member of SFNS, you are certainly welcome to attend this event, and we hope that you will consider joining either the Slow Food Mainland convivium or theSlow Food Northumberland Shore convivium (it depends on where you live), or Slow Food Youth (depends on your age). The caterer does need to know how many people to expect for lunch, so we would really appreciate your RSVP to Sheila Stevenson (Sheilastevenson17@gmail.com). Thanks, and see you in Hortonville June 5!